, shared multiple photos from her personal Instagram yesterday. 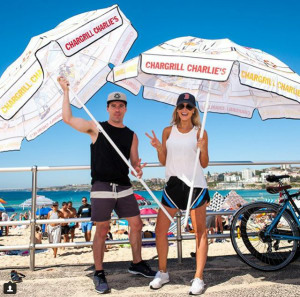 Chargrill Charlie’s co-owned Ryan Sher says: “It was an amazing moment for us to see our Chargrill Charlie’s umbrellas covering a such an iconic beach yesterday like Bondi." 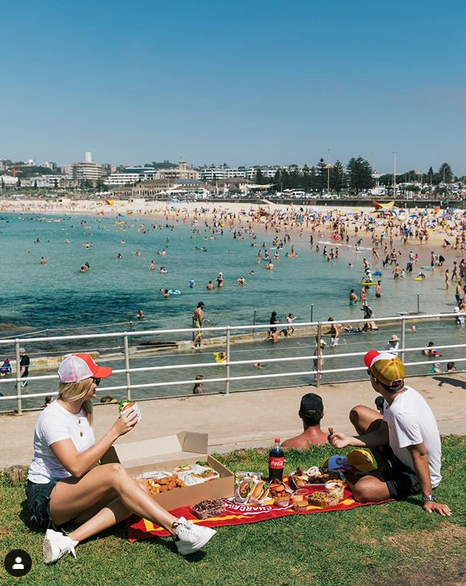 Beach takeovers are one of Jacenko’s signature moves, also rolling out a similar activation for Santa Vittoria several years ago. 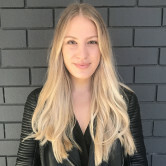 Sweaty Betty has been behind the transformation of Chargrill Charlie's over the last 12 months, taking the business from a humble chicken shop to a Sydney hotspot. 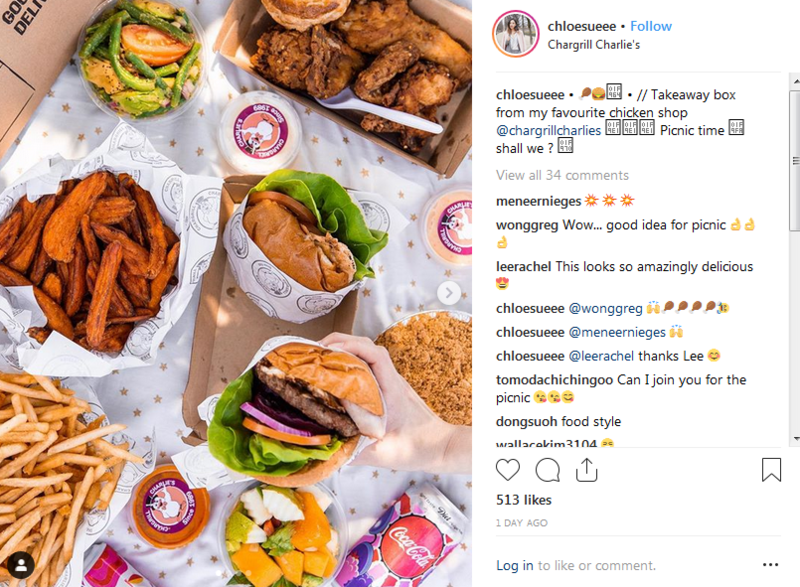 Jacenko leveraged her own profile to create social media buzz about the store, sharing photos of its sweet potato fries and burgers to her 200k+ followers. 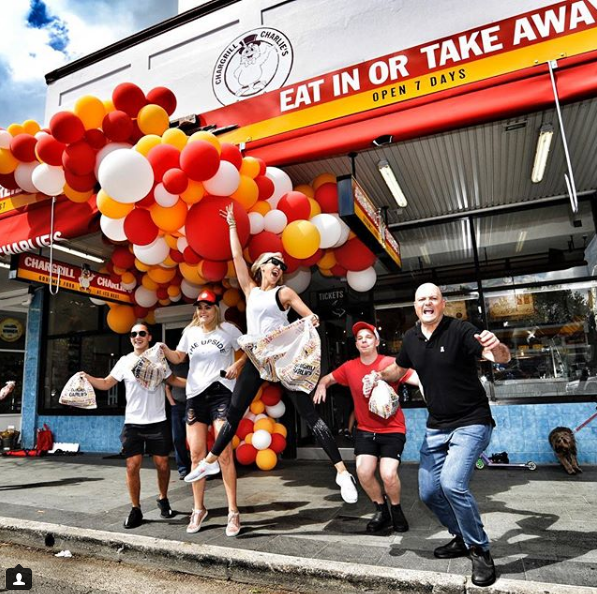 Since then, a number of famous fans have been spotted at the Chargrill Charlie's venues, including Hugh Jackman, Justin Bieber, the Sydney Swans and the Manly Sea Eagles. See below for a gallery of the activation. PR guru Roxy Jacenko cooked up a storm this weekend with yet another branded umbrella stunt. 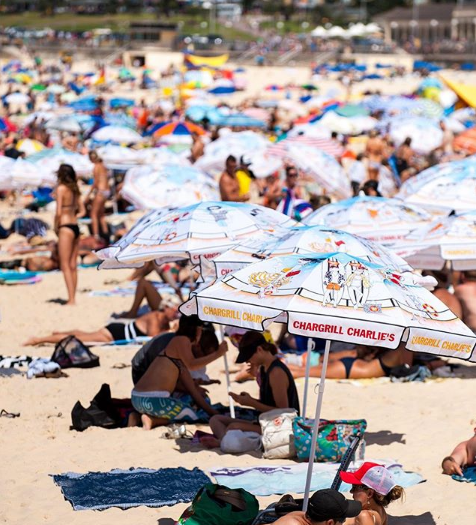 Carried out by her PR agency, Sweaty Betty, a sea of Chargrill Charlie's umbrellas took over North Bondi. Jacenko, who was recently revealed as an ambassador for Stan, shared multiple photos from her personal Instagram yesterday.